Published on 2 September 2012. 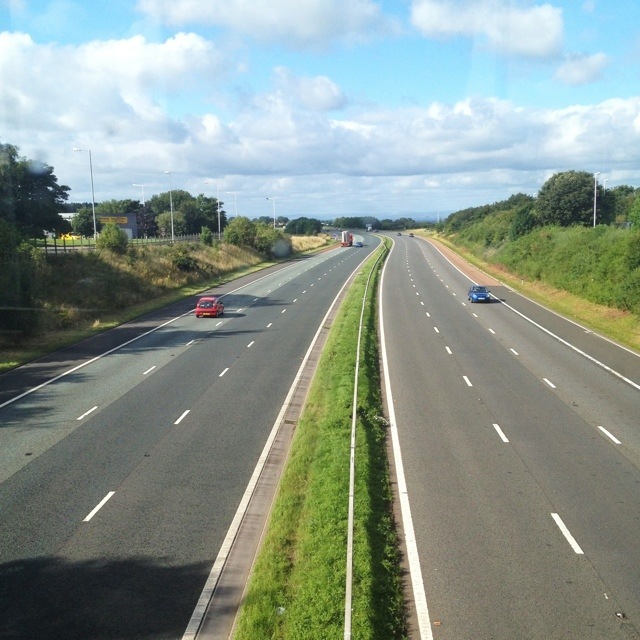 This is the M6, looking North from Southwaite services. Southwaite’s Wikipedia entry has me convinced that it is the place to be: it’s most notable features are a railway station on the west coast mainline that closed 60 years ago and a phone box. What more could the modern tourist want? This 1,790th post was filed under: Photo-a-day 2012.